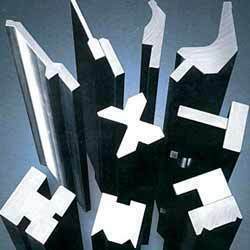 Press Brake Die, Press Brake tooling, Press brake accessories, hydraulic press brake dies, manufacturer, exporter. Our reputed entity is engaged in supplying Press Brake Punch-250x250 . 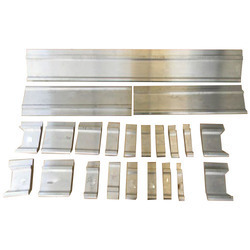 Capitalizing on the ability of our skilled personnel, we are keenly instrumental in delivering a comprehensive array of Press Brake Hemming Die. Press Brake Punch is one of the most important press brake tools for sheet bending. Indian Knives & Tools Co.
we are one of the prestigious manufacturer of Press Brake Punch with state of the art manufacturing facilities in Ahmedabad, Gujarat, India. We manufacture and supply sheet metal bending punch and press brake punch with following standards. With enriched industrial experience and knowledge, we are providing a wide range of Press Brake Machine V Tools. Sash punch is one type of semi gooseneck punch. The Sash punch is very narrow with an angled tip, which is ideal for making a door sash or jamb. Owing to our in-depth knowledge in this domain, we are specialized in providing Press Brake Punch.